It is thought that manufacturers created slag glass by taking slag, the waste content of metal ores, from iron-smelting works and adding it to molten glass. The process created a variety of effects, such as tortoiseshell and marbling. Slag glass is often found in purple and sometimes in blue, brown and green, with streaks and swirls of white or cream. 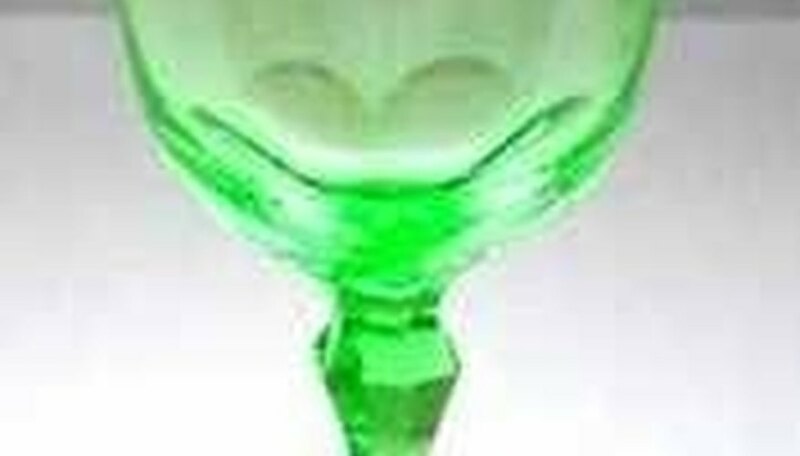 The glass originally went by descriptive names, such as “Marble Glass” or “Brown Malachite.” The British company Sowerby patented its recipe for purple malachite in 1878 and later produced a famous and now rare brown malachite. Lampshades were a popular application of slag glass in both England the United States. Nearly any lamp maker from the Art Nouveau period, such as Tiffany, may have used slag glass in their lampshades. Dealers and collectors tend to refer to any type of pressed antique glass containing colored swirls or streaks as “slag glass.” According to Collectors Weekly.com, the key to identifying “true” slag is to look for obviously and richly marbled glass.